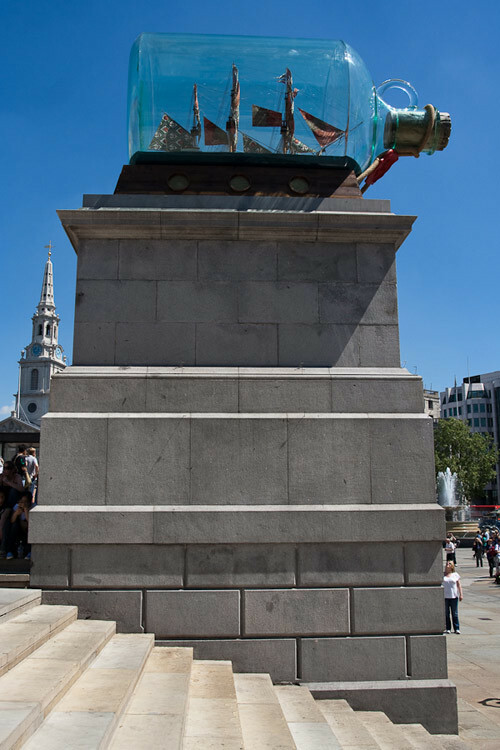 Over two centuries after Nelson died on board HMS Victory, a scale model of the late Admiral's flagship — encased in a sealed perspex bottle — was unveiled on the Fourth Plinth in Trafalgar Square this morning. 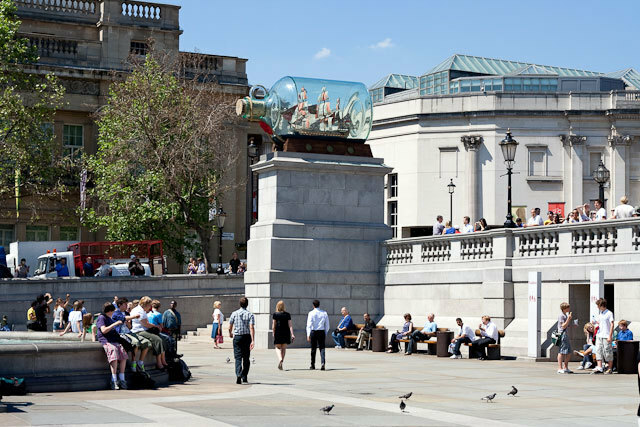 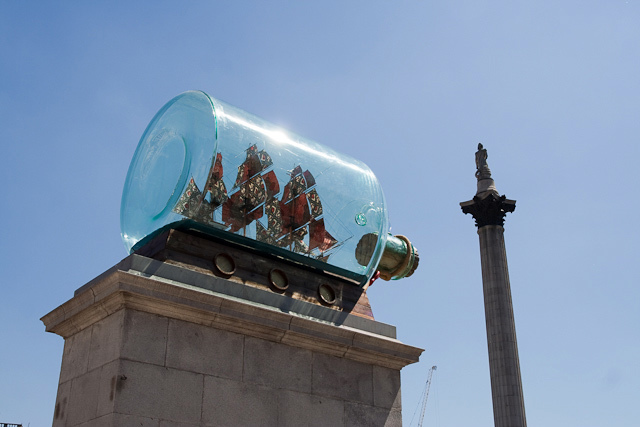 Nelson's Ship in a Bottle, as the statue is plaintively called, is the first in the Plinth's decade-long history as a showcase for public art to engage historically with its proximity to the Admiral's eponymous column. 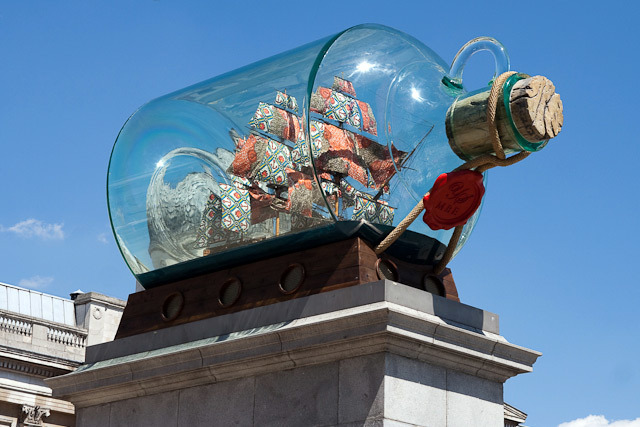 As shown by these production images in The Guardian, the accuracy of artist Yinka Shonibare's recreation is impressive, sporting the same complement of sails and cannons, and constructed from the same materials, as the vessel that Nelson sailed into the Battle of Trafalgar on October 21st 1805. 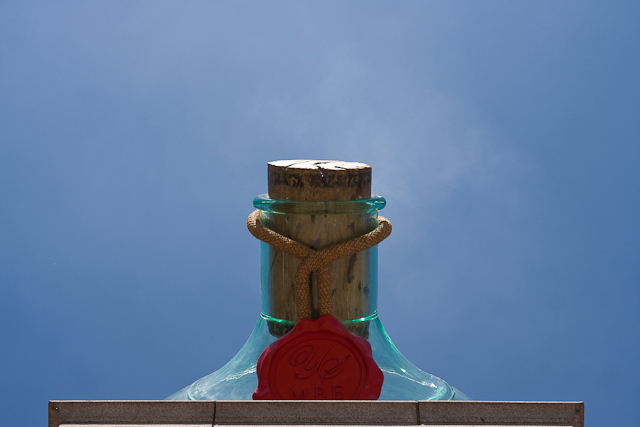 Unfortunately, viewed from the base of the plinth, the detail is lost to the naked eye, though the artist's initials, "YSMBE", dug into the bottle's seal, are clearly visible. 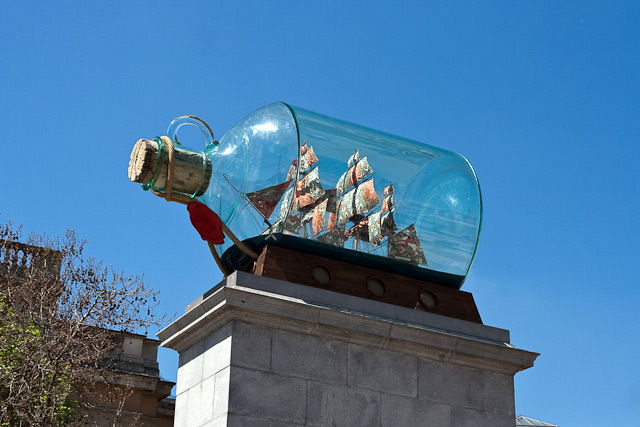 Nelson himself stands aloof with his back to this facsimile of his famous ship, casting his stony visage as ever southward along Whitehall and perhaps, in the far distance, toward Portsmouth Harbour and the original Victory, now dry-docked and pressed into service as a maritime museum.